"Where's Teddy?" 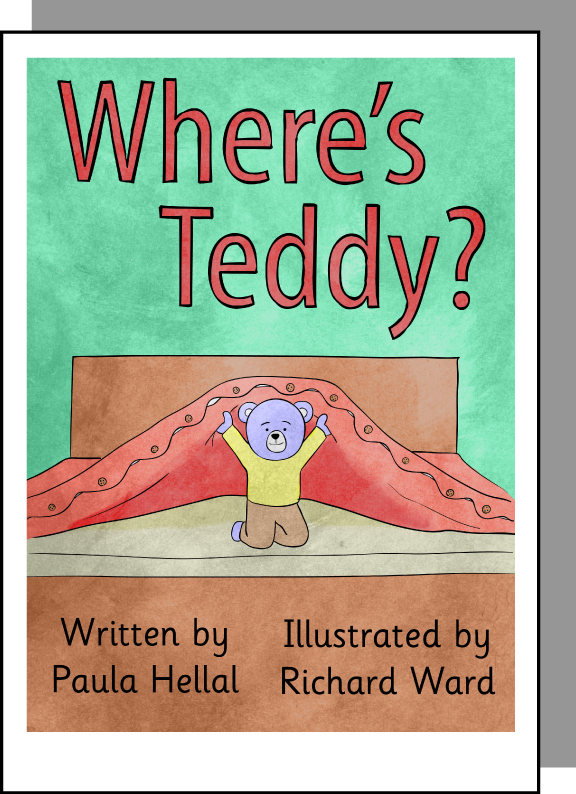 is a picture story book about a teddy bear hiding in various places around a house and garden. The focus of the book is on the prepositions "in", "on" and "under". Talking about what is happening in the pictures assists in the development of a child's vocabulary and, by focusing on meaning and comprehension helps in the acquisition of reading skills. "Where's Teddy?" reinforces the understanding and acquisition of words used. "Where's Teddy?" is designed to be read and signed. The book is unique in enabling users to not only sign the text but to use signs to talk about anything in the pictures. Necessary Signalong vocabulary is included in the picture book's companion. Notify me of updates to Where's Teddy?